I am officially a crazy dog owner. Until I have kids, I think it's acceptable. Our local Petsmart had Santa come this past weekend so naturally, crazy dog owner and all, we just HAD to go. 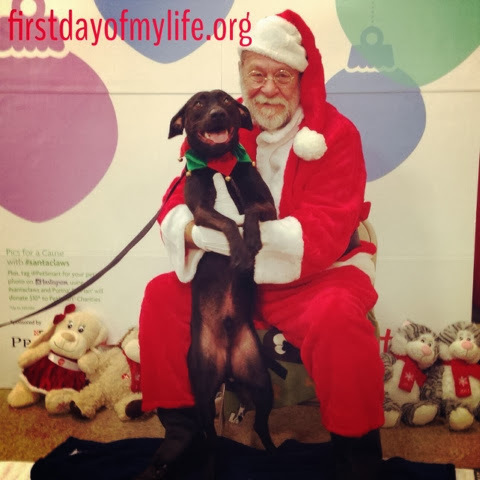 I LOVE that both Chewy & Santa are smiling in the photo - I think it came out super cute. Chewy didn't hold back with the kisses, either! Do you take your pup to meet Santa?